Lifestyle: Great Gifts with Mainline Menswear. It's Fathers Day on Sunday, and if you are on the look out for gift options for the man in your life, for Sunday or any other occasion, then it is worth heading to Mainline Menswear. They have an amazing selection of designer menswear and accessories, perfect for any chaps you might be looking to treat. 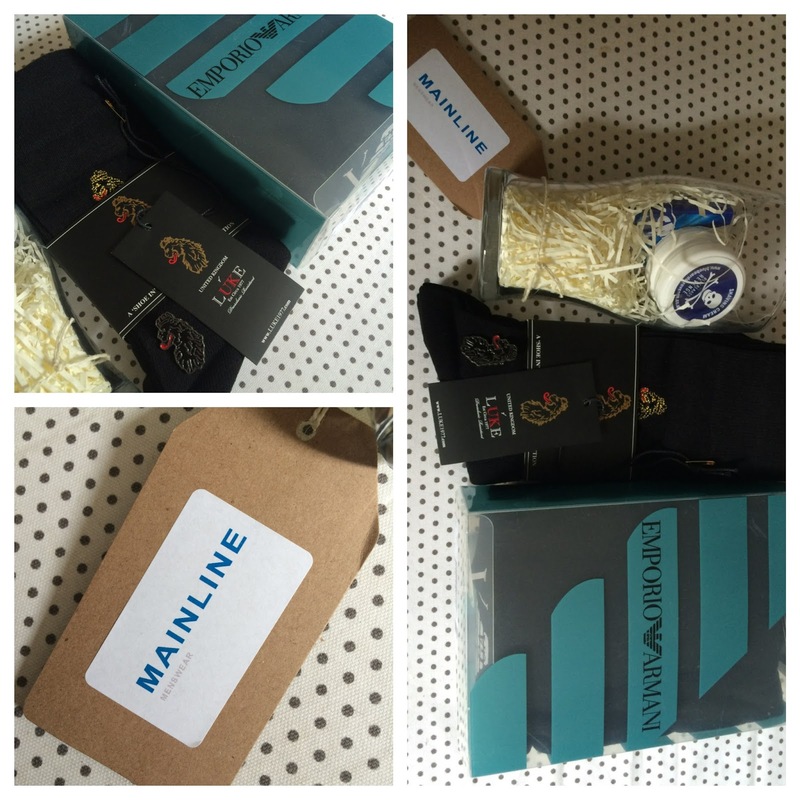 To celebrate Sunday, the lovely guys at Mainline Menswear sent me a lovely little gift package for Michael. How sweet is that? I feel very lucky to have someone like Michael in my life, he's a wonderful dad to Poppy and the most supportive husband, so I'm glad I could give him this as one of many treats for Fathers Day. I'm also looking forward to the fish and chips we'll be having on the seafront this Sunday!